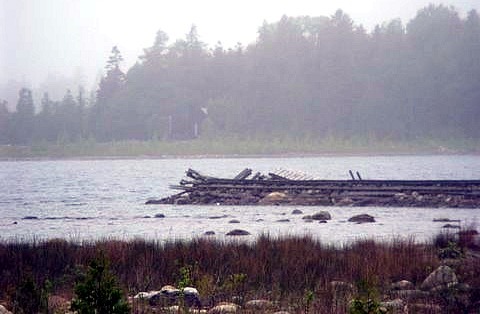 Pike Bay Ontario is found on the Lake Huron side of the Bruce Peninsula just north of Oliphant and Red Bay. 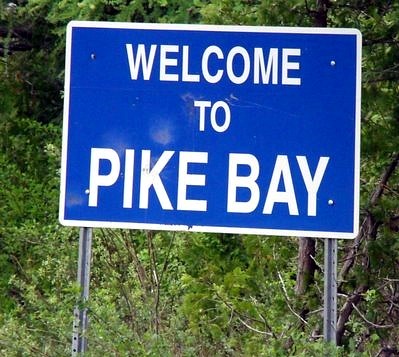 Pike Bay was the first place I went with my Grandparents as their friend a doctor owned a cottage on that Bay. It was a shallow Bay and is still shallow today. My Grandma and Grandpa didn't drive so we went up there for 2 weeks with my parents dropping us off. For me as a 5 year old it was an adventure and no big deal to be in a remote cottage town without a car. We made jam from gathered berries caught fish for dinner and walked to the General store each night. We played Gin Rummy, Grandma made toasted cheesies and fried egg sandwiches. We watched the Raccoons come by to visit at night. They were dark old cottages with screened in porches and I believe out houses. I played with whomever was on vacation at the other cottages and it seemed to work. In fact my mother and father's family went cottaging in Pike Bay long before I was in the picture and it is still a thriving cottage community today although the cottages are much bigger and of course have in door plumbing. 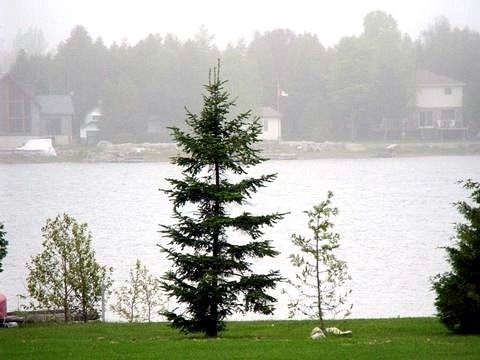 If you are looking for a place to stay in the area and don't have a cottage you can check out By the Bay Pike Bay Resort, they offer a mixture of camping, motel rooms and cottage rentals. They also have boats to rent if you want to go out onto Lake Huron fishing. 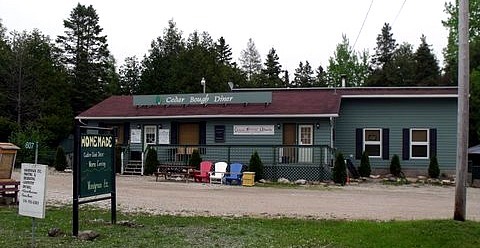 The Cedar Bough Diner (shown above) is less of a diner these days and more of a haven for Homemade preserves and amazing woodworking. You will find it on your way into Pike Bay. This area is a great middle ground to be able to explore more of the Bruce Peninsula (you are 40 mins from Tobermory) and still access towns south along Lake Huron (30 mins to Sauble Beach). Return HOME from Pike Bay Ontario.